>> Why Choose Easy Living Solutions? ELS is an independent business owned and managed by Jo Billinghurst, a qualified nurse and registered care manager. At ELS we pride ourselves on delivering excellent support packages to enable you to continue living independently within your own home. Our service is delivered on a 1-1 basis, working to an individual support plan which starts with you rather than the service. The focus is on supporting you as an individual to live as independently as possible, while giving you choice and control over the type and amount of support you require. At ELS we have your best interest at heart, so if the service you require is not listed on our website, please contact us. Even if we cannot provide that particular service you need, we may know someone else who can help. We provide a FREE personalised assessment to identify precisely what you require and what you need. This also ensures that ELS are able to meet your needs before we start. We provide all the support you require in the comfort of your own home. We provide experienced support workers who are competent in taking care of you. All staff are trained to a high standard and have been cleared by the Disclosure and Barring Service (DBS checked). We provide you and your family with complete peace of mind in the place where you want to be most, home. 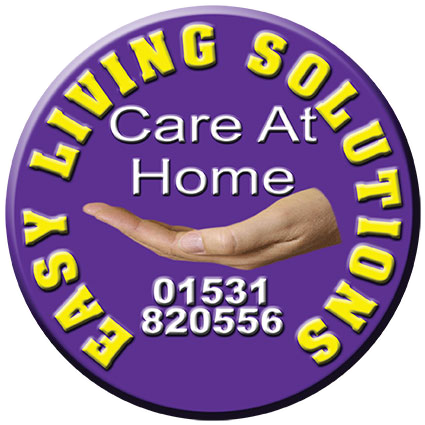 Easy Living Solutions is Regulated and Inspected by the Care Quality Commission.